Disabled People, particularly People with Learning Difficulties or Mental Health Conditions, experience significant and persistent health inequalities and are likely to die younger than other people.i They are also much less likely to receive health checks, screening tests and other routine healthcare treatment. Disabled People are less likely to report positive experiences in accessing healthcare services. Despite a commitment by the Government to make improvements to the provision of mental health services, considerable shortcomings remain. Disabled adults are more likely to report poor mental health and wellbeing than non-disabled adults. We call on all political parties to commit to eliminating health inequalities faced by Disabled People by 2025. This is a challenging target but one that can be achieved if the will is there to do so. We also call on all political parties to commit to ensuring that Disabled People are able to access NHS services on an equal basis as everyone else. This can be achieved as part of a wider improvement programme – particularly in primary care, where many people face difficulty accessing services because of restricted opening times and procedures. We also call on all political parties to commit to ensuring that mental health services are given equal priority to physical health services in the NHS. We also call on all political parties to guarantee to close, within the first year of the next Parliament, the remaining hospitals in England where People with Learning Difficulties are still being sent, despite promises to end the practice in the wake of the Winterbourne View abuse scandal. iii Disability Rights Commission (2006) ‘Equal Treatment: Closing the Gap’; Redley M et al (2012) ‘Healthcare for men and women with learning disabilities: understanding inequalities in access’, Disability and Society, Vol. 27, No. 6: 747–759; BMA (2014) ‘Recognising the importance of physical health in mental health and intellectual disability’. 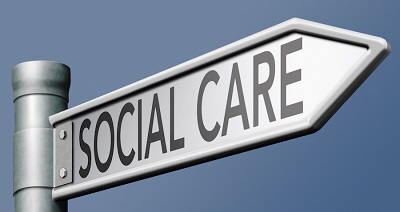 What is Social Care and Why It Should Be An Important Election Issue? Until last autumn, many people might not of even heard of the term ‘Social Care’. For those of us requiring social care or working in the social care field, it seems incredible that people have such little awareness of what social care means and its importance in society. Maybe that’s because it sounds rather cosy. A close friend of mine thought social care meant taking someone out for a cup of coffee or helping an older person do their food shopping. She was aghast when I said it was more about a weekly bed bath or having 15 minutes to get someone out of bed, dumped in their wheelchair and left to enjoy repeats of ‘Homes under the Hammer’ for the rest of the day. Perhaps a tad of an exaggeration but you get my point. Social care is an essential part of many Disabled People’s lives, however political parties of all colours often talk about it as though it’s a luxury. If the NHS suddenly had its budget cut by 30%, there would be a national outcry, however this is the level of cuts that most local authorities (who administer social care services) have had to face over the last few years. Last autumn, social care suddenly hit the headlines. MPs all ran around, in collective denial, despite the fact that this had been a time bomb waiting to go off for many years. In 2011, the Dilnot Commission report was just one of a series of publications highlighting the need to come up with a long term sustainable solution to funding social care. For many reasons, most of the ideas from Dilnot were kicked into the long grass, never to be seen again. Six years later, politicians are suggesting yet another commission to look at pretty much the same subject and will probably come up with similar solutions. As a user of social care services, I want to see action not commissions. Recently, I attended a Kings Fund event on the topic of social care. On the panel were MPs from Labour, Liberal Democrats and the Conservatives. One of the striking things about the panel was how much consensus there was about needing to find solutions to the issue, however this cross party agreement doesn’t seem to last once they all get back to Whitehall. Party tribalism reigns again while Disabled People wait in vain hope that all the political parties will put aside the party politics and work together. So we are left with the question – will social care become a major election issue? I think the answer is that it might do but probably only when it is linked to the NHS and getting older people out of hospital. Obviously this is an important issue. It is disgraceful that older people can’t be discharged from hospital because of delays in sorting out an appropriate social care package. Some political parties talk about the integration of social care and health care as being the answer but we must be wary of quick fixes. Whilst I’m sure health care and social care could work more closely together, it is important to remember that they are both managed by different authorities, they are governed by different pieces of legislation and health care is (mainly) free at point of delivery whilst social care is increasingly charged for, at least in part. My concern is the whole system would become completely medicalised so Disabled People would be seen as ‘patients’ even when they are living in their own home and any sense of the social model of disability would be lost forever. So be wary of any political party in this election who thinks they can sort out the social care crisis in a single bullet point in their manifesto. Ask yourself which party is offering the most credible solution and will they be able to put it into practice? We won’t know the answer to that until the manifestos are published. My fear is that social care will become just another political football while what we probably need is a cross party solution. Whilst we welcome any technology that enables user choice and control and Independent Living, we are concerned that any move to robotic provision of care is likely to be driven by a cost saving agenda, rather than for quality of care or user preference. With October 1st designated as the annual International Day of Older Persons this is a good time to reflect on the challenges and opportunities for age equality in Britain. As we know the population is ageing. In 2012 the number of people in the UK aged 65 and older passed 10 million for the first time. The latest projections are for 5½ million more older people in 20 years time and the number will have nearly doubled to around 19 million by 2050. Britain is an ageing society but at the same time it remains an essentially ageist society. It would be tempting – but mistaken – to predict that the sheer weight of numbers would be enough to push age equality and the full participation of older people to near the top of the public policy agenda. It is true that the current demographic trends will ensure that ageing increasingly holds the attention of policy makers, institutions and the public. But, the attention this brings will certainly not always be welcome. Far from celebrating the collective experience, wisdom and knowledge that older people could contribute to society the onward march of a greying population is more often seen as a source of anxiety. Ageism is one element of this anxiety – people simply don’t want to think about the reality of old age. Attempting to develop a mature, realistic public policy debate in the face of this collective denial is a big enough challenge on its own, but some of the anxieties about an ageing population are far less prosaic. Chief amongst these is widespread anxiety about the economic costs of supporting an increasingly ageing population and how these costs can be met from a shrinking population of people who remain economically active. Clearly, the economic challenge is far from imaginary and does need to be addressed in hard cash terms. But, it can equally be seen as an opportunity to tackle other, equally pressing, problems on the age policy ‘to do’ list. In particular, it offers a golden opportunity to breakdown workplace barriers faced by older people. Similarly, while politicians have mostly convinced themselves that spreading the costs of supporting an ageing population across the generations will ignite some kind of civil war, it is possible to take a braver and more positive approach to the issue. Rather than simply accepting the ‘can’t pay, won’t pay’ mentality as an iron law of relations between the generations, the funding debate could be transformed into an opportunity for building the kind of consensus around collective and shared responsibilities that characterised the founding of the welfare state. This challenge would undoubtedly be significant, but so would the rewards – not only in terms of building positive relations between the generations but also in terms of reinvigorating public welfare itself. More immediately, the economic anxiety about an ageing Britain needs to countered head on, as decisions taken now on the issue of costs and resources will fundamentally shape the prospects for inclusion and equality for older people for at least the next generation. One of the key policy challenges will be to transform the debate from one focused exclusively on costs to one that also takes account of spending on older people as a positive form of investment and, alongside the costs of maintaining their exclusion. The development of rigorous and persuasive policy positions on investing in older people also needs to encompass the broader social and economic benefits that could flow from this, and particularly how this could contribute to tackling other major issues on the public policy agenda such as sustainability, building communities and good relations and restoring civic participation. The current generation of older people has much to offer to promoting sustainability and conservation since many will have direct experience of previous eras of austerity and much practical knowledge – born out of necessity – to living in more sustainable ways by maximising the use of scarce resources. Apart from the direct practical benefits this could bring, there is also untapped potential for building common cause with younger generations who tend to place a much higher value on sustainability than the throw-away society of their parent’s generation. There is also untapped potential in terms of older people’s role in rebuilding a sense of community and restoring civic participation. If harnessed to emerging social and technological trends such as digital communications there is significant potential for older people to take a leading role in encouraging change in the ways that communities interact and work together to develop solutions to their individual and collective needs. These are just a few of the many opportunities for promoting the positive contribution older people could make in a more inclusive ageing society. But, in order to maximise such opportunities there remain many barriers and challenges to overcome. In order for older people to be fully engaged the right kinds of supportive resources need to be in place – and accessible to all – so that they can maximise their participation and independence. This not only means achieving equitable and efficient reform of care and support, but also successfully challenging barriers to adequate health care, and the ageist values and assumptions that underpin them. It will also be important to ensure that some groups of older people – such as people with dementia – do not get left behind. The values of maximising independence, choice and inclusion – within everyone’s own capacity – must be applied equally to all. The goal of full inclusion cannot be reached without substantial progress on removing the material barriers faced by many older people – particularly barriers to employment, and poverty. This will require the commitment and shared action of different national and local government departments and, most important of all, community organisations and older people themselves. The ultimate goal is in fact fairly unremarkable. It is essentially about older people accessing the freedoms and life opportunities they should expect as British citizens – nothing more and nothing less. However, while it is already a reality for some, for many others this deceptively simple aspiration is still a too much of a distant dream. SCIL is proud to announce that the South East Network of Disabled People’s Organisations (SENDPO) has recently been launched. SCIL initiated the plan, which after 2 years’ work, and the involvement of many other organisations like SCIL, has resulted in SENDPO finally getting off the drawing board. SENDPO has been created as a network of Disabled People’s Organisations (DPO’s) in the South East region of the UK. SENDPO will be managed collaboratively by its members for mutual benefit, to aid co-production and to facilitate the development and support of new DPO’s. SCIL first highlighted the difficulties that DPO’s were experiencing back in 2005. Since then many of the most well know DPO’s have disappeared. The reasons are many and varied; but it is now accepted that current funding rules make it very difficult indeed for small, locally based, user-led organisations to survive, and even more difficult for new organisations to come into existence. It is with this background that we are so pleased to have been able to bring SENDPO into existence. (3) To facilitate effective high quality co-production between DPO’s and statutory bodies. One of SENDPO’s first achievements has been to develop a ‘blueprint’ of what it considers to be the values, principles and ethos that DPO’s should aspire to. Up until now, we have often talked about why DPO’s are different; now for the first time, DPO’s in the South East have put these ‘ingredients’ into writing.